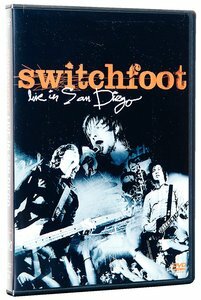 If you've seen their cracking clip for 'Meant to Live,' you'll have an idea of the intensity and zeal in Switchfoot's live performances. This DVD offers nothing less. Featuring songs from A BEAUTIFUL LETDOWN, it also includes interviews, behind the scenes footage and more. About "Live in San Diego"